NEW YORK (CNS) — Step aside, Huey Newton, there’s a new “Black Panther” (Disney) in town. Director and co-writer Ryan Coogler’s adaptation of a series of Marvel Comics — Stan Lee and Jack Kirby first launched the character of the title in 1966 — is sprawling, energetic, lightened by some clever humor but, ultimately, overlong. The primary setting of “Black Panther” is the imaginary — and secret — African kingdom of Wakanda. 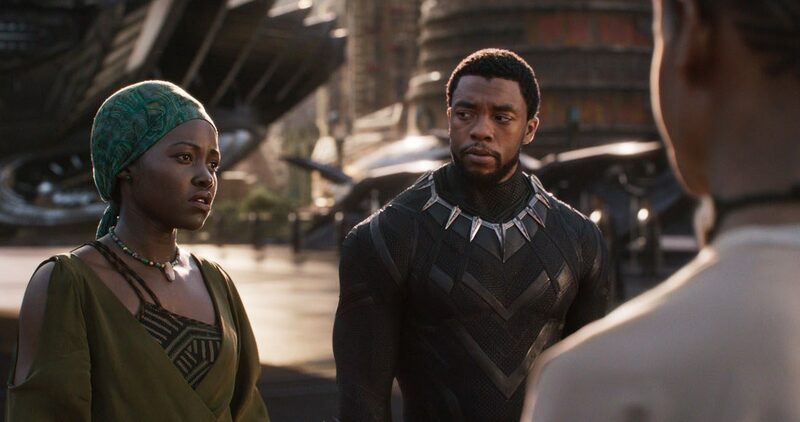 As straightforward exposition at the start of the movie explains, Wakanda’s inhabitants have, over the centuries, made use of a super-powerful mineral, vibranium, to achieve both prosperity and a range of technological wonders unknown to the outside world. Plot developments also present characters with moral choices. Faced with the kind of evil embodied by Klaue — an unreconstructed apartheid-era Afrikaans of the nastiest stripe — should one pursue vengeance or accept justice? The divergent paths of violent revolution and peaceful reform are also contrasted. The film contains nonscriptual religious ideas and practices, much stylized violence with minimal gore, several crude and at least one crass term and an obscene gesture. The Catholic News Service classification is A-III — adults. The Motion Picture Association of America rating is PG-13 — parents strongly cautioned. Some material may be inappropriate for children under 13.